Here Is How Kirkatwadi Development Forum In Pune Performing Waste Management. Imagine hundreds of people armed with gloves and masks in hand at 9AM on a Sunday morning, determined to clean their surroundings. 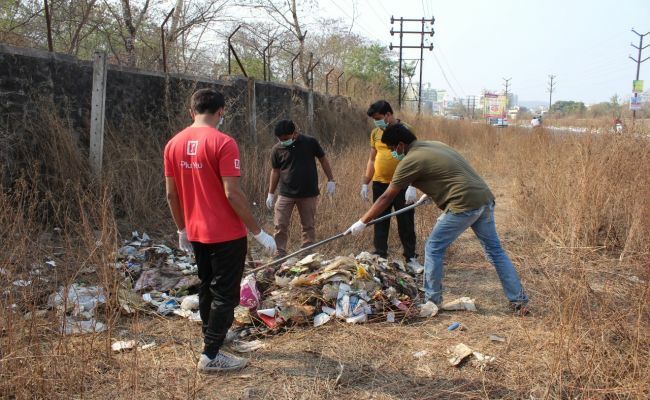 This is exactly what happened in Kirkatwadi village, Pune, on Sunday (February 11) when around 150 people gathered to clean heaps of garbage lying along the road near their locality. The cleanliness drive organised by Kirkatwadi Development Forum witnessed people from all walks of life joining hands to make their locality neat and clean and shine like a diamond. Kirkatwadi Development Forum is a group of like-minded people who have come together to solve the problems prevailing in Kirkatwadi village. The group was formed 3-4 months ago and since then it has been addressing issues like pot holes, poor roads, etc. The idea behind forming this group is not to just highlight the problems or grievances; it is to bring a change, says Sandip Kolhatkar. After addressing some serious issues, the group thought of focusing on the problem prevailing over months, garbage being piled up along the road between Nanded Bridge and Kirkatwadi. The reason behind organising a cleanliness drive was the heaps of garbage emitting a foul and posing a danger to the health of locals, says Prakash Pawar. In a bid to bring people together and start the cleanliness drive, Kirkatwadi Development Forum created a buzz on social media. From Twitter to Facebook to WhatsApp, the group took advantage of every possible medium and urged locals to come together for the cause. The result was four trucks of garbage collected with the help of around 150 people. From past six months people are recklessly dumping garbage along the road. With the cleanliness drive, we wanted to send across the message that while some people of the locality are creating a mess, others are trying to clean it, says Sandip Kolhatkar. 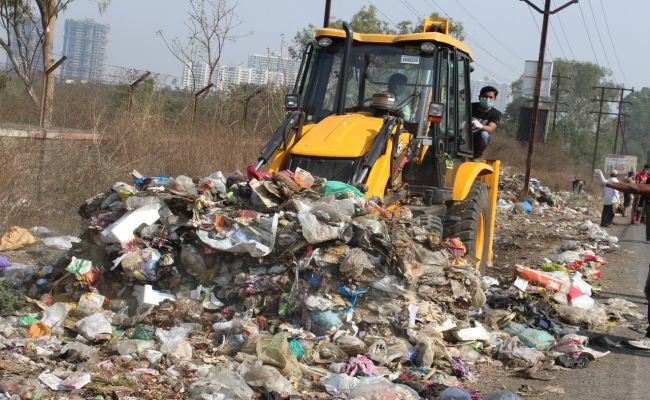 The group received help from gram panchayat in the form of trucks and JCB machines to remove the garbage. The group also received gloves and masks at a discounted rate. Not only this, Supriya Sule, Member of Parliament from Baramati, appreciated the efforts of the group and urged people living in the locality to join the cleanliness drive. While removing the garbage, we appealed people to not litter and keep their surroundings clean, but still you can see people throwing garbage. It is a behavioral issue; you cannot change one’s habit overnight. Awareness needs to be created and we plan to work in that direction, signs off Sandip Kolhatkar. Previous Post: Ramdas Mane From Pune Builds Portable Thermocol Toilets In Just Two Hours. Gifts 25 Girls The Same as Their Wedding Gift. Next Post: Four Friends Embark On a Journey To Clean Agra’s Roads.